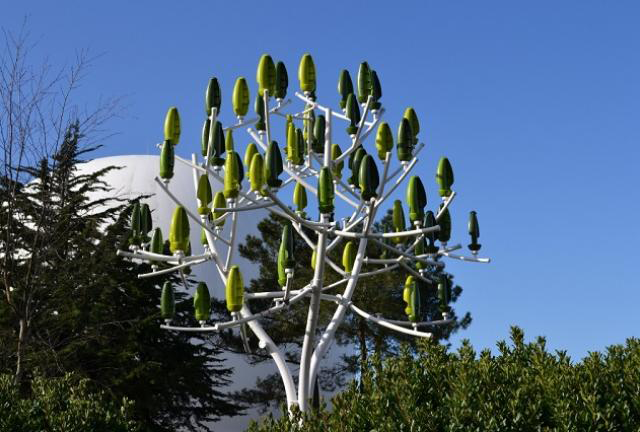 Wind Tree, as we can guess from the name, is a wind turbine that looks like a tree. But, that is just a speck of this unconventional wind turbine’s definition. 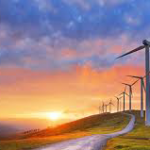 Noisy, Monstrous, Nauseous, giant, unpleasant, bird scaring are some of the properties that flash in our mind when we think about wind turbines. 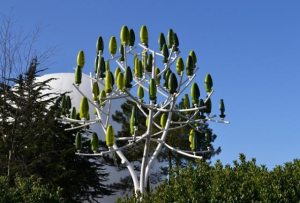 ‘Wind Tree’ can be defined by characteristics like silent, tiny, noiseless, pleasant, beautiful, green – not only in purpose but also in looks and possibly bird friendly. It tapped the main difference between an original tree and a wind turbine. What the leaves of a tree can do but not the blades of a large wind turbine – Being sensitive to light breezes. Just like leaves,Wind Tree’s blades are sensitive even to the light breezes. Monstrous, noisy conventional wind turbines may soon be a thing of the past thanks to tree-shaped wind turbines being installed in Paris. What started out as a concept is now being turned into reality, with several being planned for the French capital. French company ‘New Wind’ is installing the first at Place de la Concorde in Paris and is hoping to expand throughout the country and abroad. The 26ft (8 metre) trees are fitted with 63 aeroleaves. Each one uses tiny blades inside the ‘leaves’ and can generate electricity in wind speeds as low as 4.5mph (7km/h), and regardless of the wind’s direction. A light breeze is classified as having a wind speed of between 4mph and 7mph on the Beaufort Scale. The company’s founder, Jérôme Michaud-Larivière, hopes the trees can be used to exploit small air currents flowing along buildings and streets, and could eventually be installed in people’s backgardens and urban centres. The power output of the tree is 3.1 kilowatts a year depending on the wind. The trees are also silent, so sound pollution would not be an issue – a major improvement from past designs. The trees currently retail at £23,500 ($33,670). ‘The idea came to me in a square where I saw the leaves tremble when there was not a breath of air,’ said Jérôme Michaud-Larivière, the founder of the Parisian start-up. Last year, after three years of research, the team of engineers developed a prototype and installed it in the Pleumeur-Bodou commune in Brittany in northwestern France.